This is very much an accidental book review, as normally I don’t delve into the medium, but following my recent thoughts on Blair Bowman’s debut the Pocket Guide to Whisky. 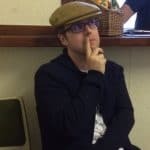 I had a conversation with Hans Offringa, where the topic of his own incoming publication was highlighted given my comments around many new enthusiasts being attracted to whisky. My own whisky radar nowadays seems finely tuned exclusively to pinpoint incoming bottles rather than books. Such are the times we live in with Cadenheads filling each month with delights and a widespread buoyance of releases across the industry. Possibly Amazon did highlight this book release on one of their click-bait emails seeking impulse purchases but it failed to connect with me. Whisky books seem on the increase of late, with the aforementioned arriving enthusiasts seeking information about the realm. Then there are the more experienced connoisseurs searching for detailed facts and arguably publishers taking chances on producing such niche publications. Clearly, a danger is that the market becomes flooded with self-proclaimed experts excitedly crossing over from the blogging medium expecting to become established. A blog does not give you the right to have a book on whisky published, nor should it prove to be a deterrent. An important feature in my humble opinion is the style of writing. Charles MacLean is the romantic waxing lyrical about Scotland and its Glens. Lovely stuff. Then there are several simplified works that revolve around a list or whisky tube map. The more niche releases such as the Scotch Missed or the sublime Whisky Rising, provide interest and sustenance to the more experienced reader. It must be said as well, that there are many outdated texts that are still useful today and quite often I refer to these for details or golden nuggets as opposed to the latest book from ex-BBC children presenters. The point being, there is still a gap in the market for whisky books that do the topic justice and have that incredibly rare balance of passion and knowledge. Several friends expected me to annihilate Blair’s book and the temptation was indeed present, but it’s about the pages and not the persona. Blair does seem adept at to latching onto every passing fad like a whisky vampire. Whilst his passion for whisky is evident, I’m dubious if the knowledge or expertise is of an equal stature. However, he’s not alone as I can reel off other examples and the list will grow as whisky continues to interest many onlookers. Such a topic is for another article. Thankfully Hans is well versed in whisky and has been for many decades. This offers a respectable symmetry between the passion and knowledge. Our discussion around books for the newly interested was a principle inspiration when creating his latest book A Field Guide to Whisky. It’s a well-presented book; the blackened cover and page edges give it an aged aspect and suggestion of dark hidden knowledge. It’s an interesting concept, at its fundamental basic level its 324 whisky themed questions spread across 318 pages full of colour and photographs. My experience has shown that there isn’t such a thing as a stupid question; only if the same person asks it twice. Aiming to cater for a range of questions, Hans has taken us across the globe and from the earliest days of whisky and whiskey. Starting with what is whisky? We’re then flown around the globe before dealing with the stages of production and the myths around tasting. For the flippers, there’s a chapter on buying and investing in whisky before moving onto whisky trends and general trivia. Closing off the almanac theme are a series of distillery maps for major producing countries, before a series of recommendations and suggestions for whisky travellers. A Field Guide to Whisky isn’t the sort of book you can read page to page in a rampaging style. It’s rather a tome you can dip in and out of now and again. Ideally in a relaxed environment with a dram to hand, it’ll find favour with the newly interested or eager beavers. Honestly, I’ve found a couple of interesting facts within its pages but probably not enough to warrant a purchase myself. Except, I did actually buy this book and I can see it being deployed when friends start asking questions about whisky, or are staying over as a friendly bout of reading material. It’s an ideal companion for an evening of whisky when you do fancy a few nuggets of information. Ultimately, given my advanced years with whisky now, the book will see little action at home compared to your specialised publications or older works. Without realising it, my efforts creating Whisky Rover and maintaining its legend of ill repute have educated and informed not only a handful or readers, but it’s creator. This was only brought home with an online exchange where the questioner seemed in awe of my whisky voyage. Thinking back, my initial building blocks were many years ago now, and yes, they had books back then albeit in tablet form. It was very much trial and error, a series of bad purchases as you explored and developed the knowledge. Hard to believe but the internet resided only in universities and whisky literature was confined to a handful old tartan books or boozer conversations. Now it’s a transformed realm and everyone has an opinion or point of view, however badly informed. If anything, there’s too much information and this includes falsehoods as well as marketing. 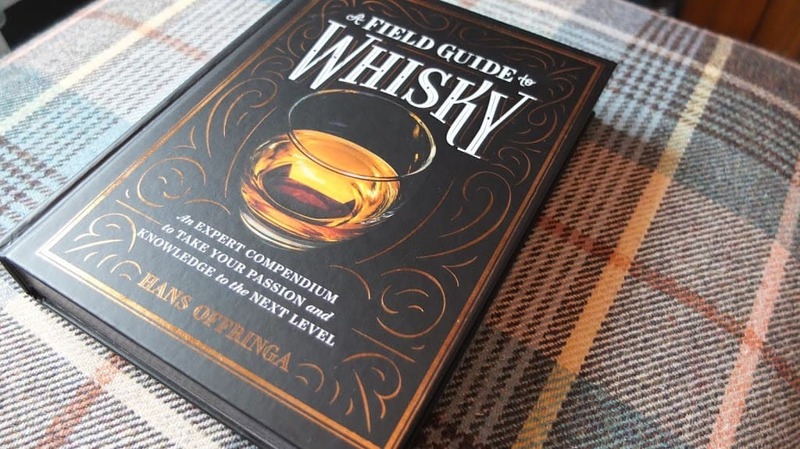 This Field Guide to Whisky is a valid addition to the whisky library, possessing just enough detail to lead you in new directions if you so deem it necessary, or answer those questions you were afraid to ask. If time spent on the hard road of whisky experience has shown me anything, its to listen to others, roll with the punches and seek out information. Ian Buxton completes a hat-trick with his latest tome that follows on the back of the successes of 101 Whiskies to Try Before You Die..